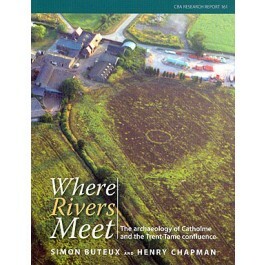 This book is the story of an area of landscape in the English Midlands from earliest prehistory to around AD 900. Although it looks like a typical rural landscape, archaeological research, much of it in advance of quarrying, has revealed that this area has a long and remarkable history of occupation stretching back to the Ice Age. In particular at Catholme the project has revealed spectacular monuments from the Neolithic and Bronze Age (including a 'woodhenge-type' monument, a 'sunburst' monument and a cursus) that represent a regional expression of the monumental traditions of the age of Stonehenge.